After a court case is concluded and a judgement passed, a defendant may seek to appeal the case in an attempt to clarify, reduce, or overturn the judgement and any associated penalties. During this time, the appellant often wishes to delay payment of the judgement in the hopes that it will be eliminated through a successful appeal. When you obtain an appeal bond in Upper Marlboro during the appeal process, you are providing a surety bond that guarantees to the court that the judgement will be paid if your appeal is not successful. 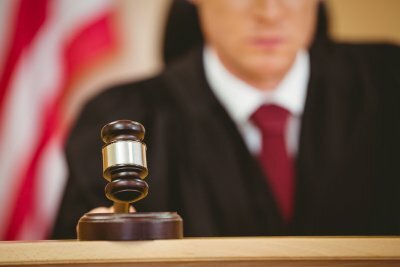 How Should I Obtain an Appeal Bond? If you decide to post an appeal bond to delay payment of a judgement, you can obtain one from a surety bond service. 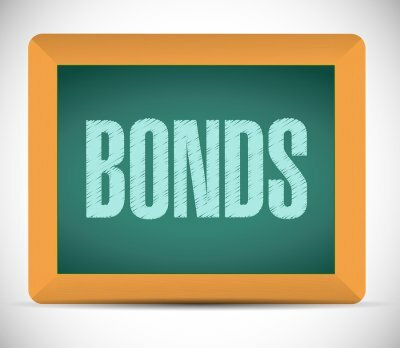 Before the bond can be issued, your bonding service may take steps to ensure you are able to pay the amount guaranteed by the appeal bond. How Do I Pay for an Appeal Bond? An appeal bond guarantees coverage of not only the total amount you owe for the original judgement, but also any interest that this amount may accrue and additional legal fees charged during the appeal process . Unlike many other types of bonds, appeal bonds must be fully collateralized. Thus, the cost of the surety bond itself is often equal to 100% or more of the judgment to provide the financial guarantee that these expenses will be covered if necessary. You can pay for an appeal bond via a combination of cash or other assets if you wish. How Long Will My Appeal Bond Last? Once you have filed your appeal bond, it generally cannot be canceled and will remain in effect until the court releases it following the conclusion of your appeal. This release is not automatic; therefore, it is best to seek a court-ordered release of your surety bond following the conclusion of your case to ensure no further claims can be made against your appeal bond. When you are arrested and charged with a crime, posting bail allows you await trial at home, rather than remaining incarcerated. Working with a bail bond agent serving Upper Marlboro can allow for your release at a much lower cost than the total bail amount set. This video takes a closer look into the job of a bail bondsman. When an individual opts to pay his jail bail via a bond, the bail bond agent will work with a surety company to provide the money for the total amount of the bail. The bail bond acts as a contract between the bail bond agent and the state to secure an individual’s appearance in court. Once the bail bond is posted, the defendant becomes the responsibility of the bail bonds agency, which can pursue and bring him back to jail if he misses a court or legal date. What Information Do You Need to Post Bail? Posting bail via a bail bond in Upper Marlboro allows a defendant to leave jail and await a court date at home so he can continue to work, attend school, or perform other important duties. Once a bail hearing has been completed and the bail amount is set, you can contact a bail bonds agency to obtain a bond and release your loved one from jail. When you contact a bail bond agent, he will require some personal information before the process can be completed. This information includes the defendant’s full name, date of birth, and the jail in which he is currently held. The bail bond agent will also need to know any charges that have been made against the individual, as well as the bail amount that has been set by the judge. This information allows the bail bondsman to determine the fee that will be charged for the bail bond, as well as arrange for your loved one’s release quickly and discreetly. When you are arrested for a crime, you are kept in a local jail until your case can be tried. However, waiting in jail can affect your ability to care for your family or meet scheduled requirements at work or school. Bail bonds provide a means to guarantee you will appear in court without requiring law enforcement to hold you in jail in the meantime. Before you can post bail in Upper Marlboro, you will undergo a bail hearing to ensure you meet the requirements for release. The main purpose of a bail hearing is to allow a judge to determine whether you can be trusted to appear in court at a later date if you are released from jail. Bail hearings are not meant to determine guilt or innocence, but only whether the charges and the defendant’s actions should warrant release from custody. In many cases, the judge is willing to allow for release, provided you pay a specified bail amount. However, some circumstances, such as a charge for a violent crime, a history of missed court dates, or the presence of outstanding warrants, may prevent the judge from agreeing to set your bail, requiring you to wait in jail until your court date. If the judge determines that you can be reliably released from jail and will return for your court date, he will set a jail bail amount. 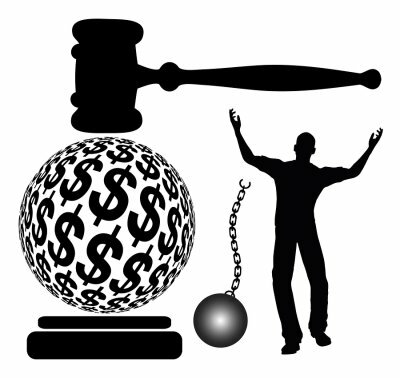 Bail provides a financial guarantee that you will appear in court when called. Oftentimes, the amount of bail set by the judge is dictated by a bail schedule, which lists appropriate bail amounts by charge. Rather than posting bail out of your own pocket, you or a loved one can purchase a bail bond through a bail bond agent. This process reduces the amount you must pay and issues a surety bond guaranteeing your presence at future court dates. Bail bonds can be obtained quickly and discreetly to allow for faster release following a bail hearing.